In a gripping medium mountain stage, Diego Ulissi put in a well-timed attack amidst a flurry of activity to win the stage while the climbs gave ‘Bling’ the sling and put Cadel Evans into pink. 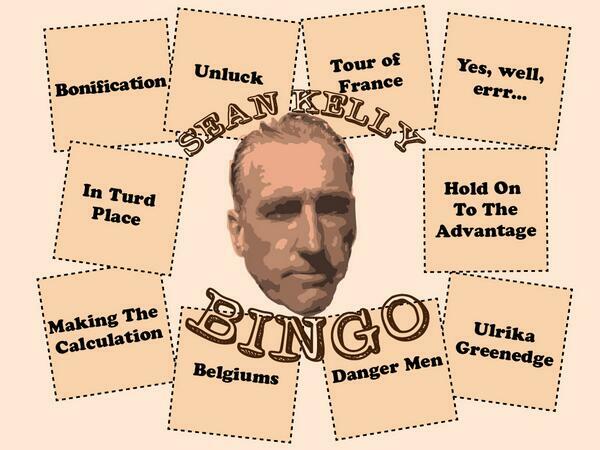 Sean Kelly Grand Tour bingo! Created by the talented Velocast, here is your playing card for Sean Kelly Grand Tour bingo! The only prize you get is the prize of feeling smug if you win with just one sentence!